Now, if you’ve got a lot of dough lying around and want to pay for the whole house upfront with an all -cash-offer, you can avoid paying interest. But let’s face it, most of us aren’t living in this dreamy scenario, which makes home loans and interest par for the course—so it pays, literally, to know how it all works. 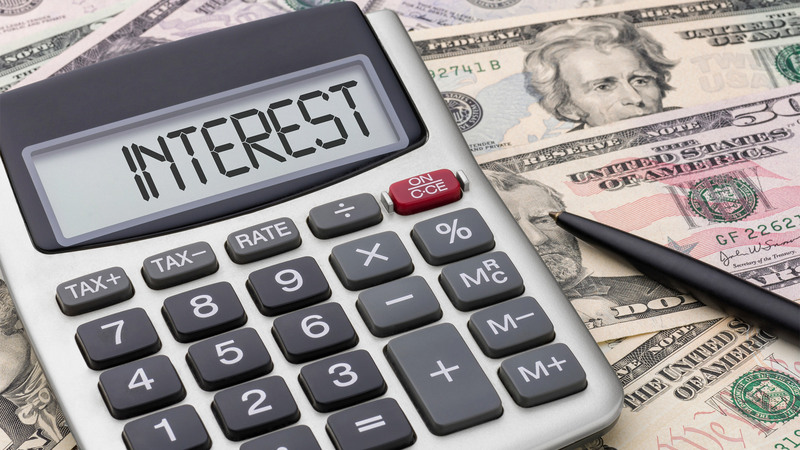 When you get a mortgage, your interest payment is calculated as a percentage of the total loan amount. For example, say you get a 30-year $200,000 loan with a 4% interest rate. Over 30 years, you would end up paying back not only that $200,000, but an extra $143,739 in interest. Month to month in the above scenario, your mortgage payments would amount to about $955 per month. Part of that monthly payment would go toward paying back what you borrowed (an amount known as your principal), and the rest goes toward interest. The exact proportion varies month to month—early on, homeowners typically pay more interest and less principal—but that composition changes as the loan matures. For instance, in your very first month for the above scenario, you’d pay $288 to your principal and $666 to interest. By your last check to your lender 30 years later, you’d pay $951 toward principal and $3 toward interest (check out inclinerealestateexperts.com to punch in your own numbers). Fluctuations are based on several factors. These financial shifts could be stressful if they affected your monthly mortgage payments, but luckily when you get a home loan, there’s a way to shield yourself from this roller coaster by getting a fixed-rate mortgage, which locks in your rate at whatever level it is at the time you apply. It remains the same over the life of your loan (typically 30 years). Or else, if you don’t mind the market’s ups and downs, you can opt for an adjustible-rate mortgage. Not everyone who applies for a home loan gets the same interest rate. It varies widely depending on a variety of factors.